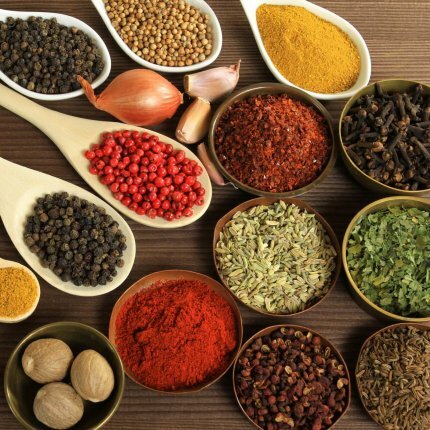 The health benefits of many common kitchen spices are mediated by the same cannabinoid receptors in the brain and body that cannabis activates. The Food and Drug Administration, the perennial handmaiden of Big Pharma, recognizes turmeric as a food-coloring agent but not as a therapeutic substance, despite more than 5600 peer-reviewed studies of turmeric and its main polyphenolic component, curcumin, that document numerous healing attributes. 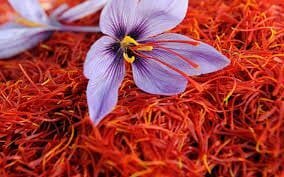 There is more evidence-based scientific literature (1500 science articles) supporting the use of curcumin against cancer than any other nutrient, including vitamin D.
Much like saffron, curcumin is a potent antioxidant that confers neuroprotective effects through multiple molecular channels. Turmeric protects against alcohol-induced brain damage, improves insulin sensitivity and cardiovascular function, inhibits platelet aggregation, and facilitates the clearing of beta-amyloid plaque associated with Alzheimer’s dementia. 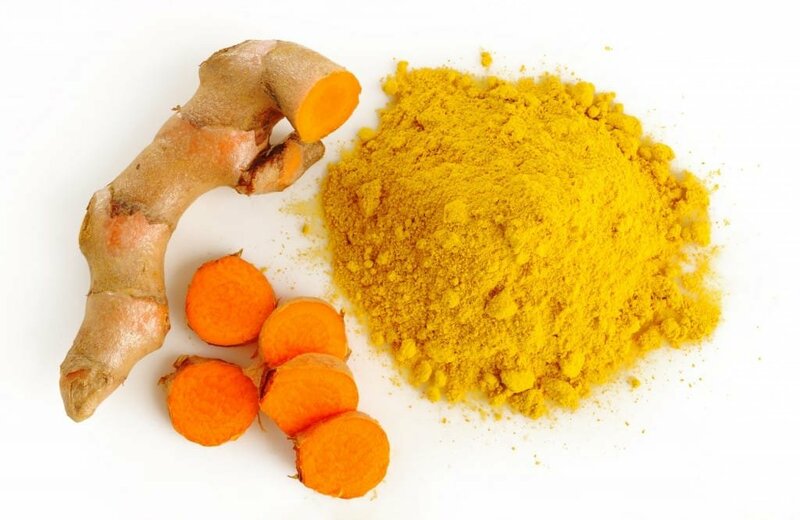 It’s worth noting that the incidence of Alzheimer’s and other neurodegenerative diseases among people living in the Asian subcontinent, where turmeric is ubiquitous, is significantly lower than in North America. Turmeric’s versatility as a medicinal herb derives in part from its interaction with the endocannabinoid system, which regulates numerous physiological processes. In May 2012, Neurochemical Research Identified the CB1 cannabinoid receptor as a mediator of curcumin’s antidepressant effect: “treatment with curcumin,” the report notes, “results in the sustained elevation…of endocannabinoids.” In December 2013, the European Journal of Pharmacology disclosed that curcumin reduces liver fibrosis by modulating cannabinoid receptor transmission. The manifold therapeutic properties of black pepper have been validated by modern science. The essential oil of black pepper reduces nicotine cravings and eases withdrawal symptoms. An anti-spasmodic and anti-convulsant, it can also lower blood pressure and relieve digestive distress. 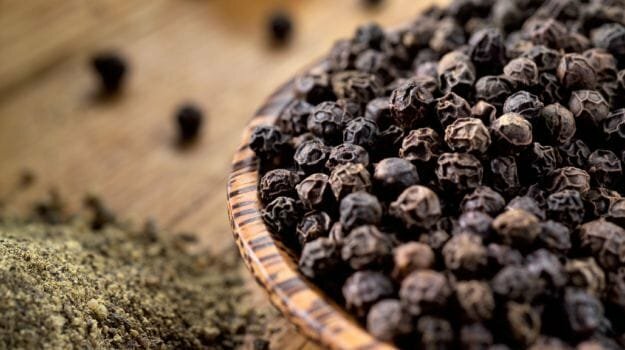 Piperine, black pepper’s principal bioactive constituent, has been shown to inhibit cancer cell proliferation in animal models of osteosarcoma. This black pepper alkaloid also potentiates the antitumoral and apoptotic effects of turmeric by enhancing the bioavailability of curcumin. When co-administered, piperine and curcumin interact synergistically to confer a stronger antidepressant effect than either compound delivers on its own. In addition to piperine, black pepper contains vitamin K, iron and manganese along with a robust array of aromatic terpenes, which should be familiar to cannabis connoisseurs: pinene, limonene, linalool, sabinene…. Black pepper is particularly well endowed with the sesquiterpene beta-caryophyllene, an important medicinal component of many cannabis strains. Beta-caryophyllene is the only terpene known to bind directly to CB2, the cannabinoid receptor that regulates immune function, the peripheral nervous system, metabolic tissue activity, and other physiological processes. Black pepper’s potent anti-inflammatory juju is mediated by the CB2 receptor. THC also binds directly to the CB2 receptor, although this is not what makes a person feel high when he or she consumes cannabis. That’s because CB2 receptors are not present to a significant degree in the brain and central nervous system. Beta-caryophyllene is a significant component of several other common kitchen spices, including clove, cinnamon and oregano. Nutmeg (the dried kernel of Myristica fragrans) does not directly activate the CB1 cannabinoid receptor in the brain or the CB2 cannabinoid receptor in immune cells. 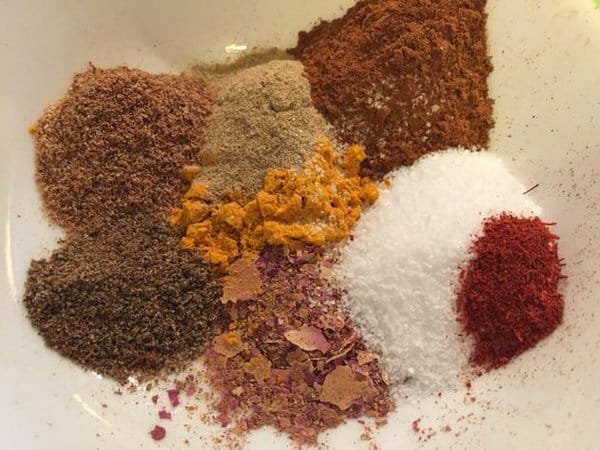 But this commonly used kitchen spice can have a powerful impact on the endocannabinoid system. A 2016 study in Pharmaceutical Biology reported that nutmeg interacts with the endocannabinoid system by inhibiting certain key enzymes that catabolize (break down) the two main endocannabinoids, anandamide and 2AG. Likened to the brain’s own marijuana, these short-lived endogenous cannabinoid compounds bind to the CB1 and CB2 receptors. This triggers a signaling cascade on a cellular level that protects neurons against toxic insults (stress) and promotes neurogenesis (the creation of new stem cells in adult mammals). Many prison inmates, including Malcolm X before his conversion to Islam, have sniffed and swallowed nutmeg to get high. 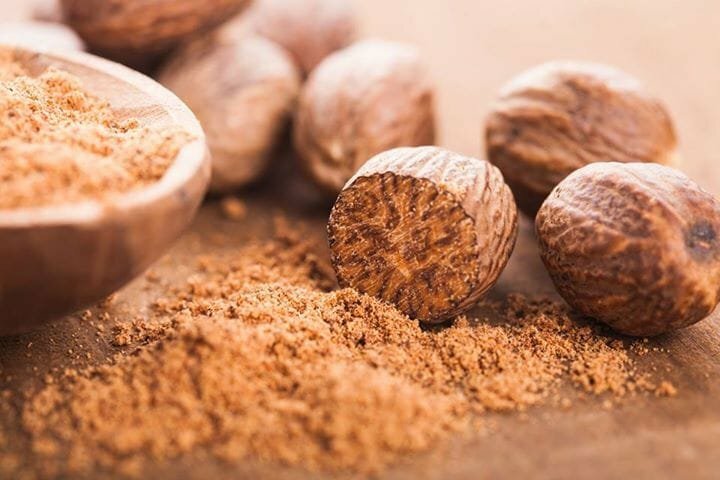 Now we know how and why nutmeg has a psychoactive effect — it stimulates cannabinoid receptor transmission by suppressing the enzymes that break down the brain’s own marijuana.